Complete Marine Distributor system from 1984 Mercruiser 454 ci Mark IV big block (will work for many different years and engine generations; can be cross referenced with other brands for applications). Worked perfectly in the boat which was changed to MSD electronic (still not sure was right decision). Centrifugal advance, comes with ACCELL 12 Volt Super Stock Universal Performance Coil #8140, complete set of new ACCELL 8mm wires w/coil wire, SPARE billet cap hold downs, seal gasket, base gasket, rotor, and new points still in box. Cap has been painted yellow to match coil/wires but can easily be repainted or replaced with new. Everything in great working order including tight bearings and low-wear gear in Distributor. Unit is marine SAE J1171 certified. Thank you and good luck! The buy it now price is for a starter. We do this because We know You will get it faster/ sooner. Abuse is not covered. Software Programs are not covered. Manuals are not covered. It' s not good if You burn it up by not installing it correctly. The buy it now price is for an ALTERNATOR. Abuse is not covered. Software Programs are not covered. Manuals, Books are not covered. It' s not good if You burn it up by not installing it correctly. Part No. 1910966. The sale is FOB Fort Lauderdale, Florida. Fits other applications. This item is sold AS-IS. Made for ALL 4.3L marine engines made from 1985-current. This kit isU.S Coast Guard Approved and has the official marine SAE J1171 stamp on the bottom of the distributor. This is the EXACT kit that Volvo Penta, OMC, Marine Power, etc use on their 4.3L marine engines. NOS Delco Remy Condenser. Part 1932004. OMC # 382125. GM Delco radio, part no. 09390762. Radio has CD player. Radio is used, removed from a vehicle when the radio was upgraded. Radio was working when removed, but has been is storage for years. Type: 10SI 55Amp. Has a Marine Spark Arrestor. 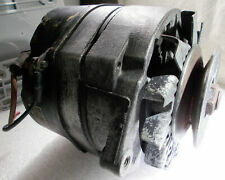 Up for sale is a Delco Remy Alternator. 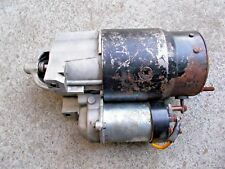 Re-manufactured Delco Alternator UA-24-SE 24 Volt 80 Amp. Model Delco. Other Location USH.D05.DA029. However we need the year, model and serial number. This information will be used to match the right part to your engine/boat. GM/Delco Remy part #: D-1703, 1872508. GM Delco-Remy 12 volt marine generator relay, NOS! This is a NOS GM 12-volt marine generator cut-out relay for various tractor and marine applications. New in original box. DELCO REMY. These regulators were found on many GM engines made from 1963 to 1974. Mon: Closed. Sun: Closed. Mundelein, IL. 1300 Town Line Rd. (Rt. 60). Genuine 5.0L, 5.7L, 305, 350 V8 Delco Voyager EST marine electronic distributor kit. Made forALL 5.0L, 5.7L marine engines made from 1968-2014. This kit is U.S Coast Guard approved This is the EXACT kit that Volvo Penta, OMC, Marine Power, etc use on their 5.0,5.7L marine engines. Up for sale is 1 NOS Delco OMC distributor cap 383586 for various 6 cylinder engines.Replaces Sierra 18-5388. Part No. 1113280. The sale is FOB Fort Lauderdale, Florida. Delco Remy Genuine 12V, Alternator 1101291 fits CAT Caterpillar 8C-5510 MISSING COOLING FAN . 4L Carburetor Float Kit 1397-8546, 3327 Inboard. Another item from Essenbay Marine! These are high quality parts----SAVE. 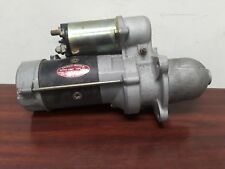 Delco MARINE ALTERNATOR Part No 60050. Used and working. Genuine 3.0L GM Delco Voyager EST marine electronic distributor kit. Made for ALL 3.0L and 2.5L marine engines made from 1967-current. Excellent replacement kit for pre 1990 "points" distributor and coil. This distributor and kit is U.S Coast Guard Approved and has the official marine SAE J1171 stamp on the bottom of the distributor. This is the EXACT and only kit that MerCruiser, Volvo Penta, OMC, Marine Power, etc. use on their 3.0L marine engines made since 1990. Part# 16220371. T he sale is FOB Fort Lauderdale, Florida. "NOS" Delco Remy Brush Kit for cranking system on outboard engines. "Missing 1 screw and nut. Original Delco rebuilding kit for Rochester 2-bbl carbs. Labeled as Quicksilver 1397-3459. Used with older marine engines (mid- late-1960s), others. Part # - 1108386. 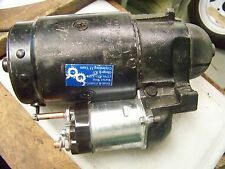 10MT Starter Motor. Genuine Delco Remy Parts. Manufacturer:Delco Remy. Second Wind Sales. Genuine 4.3L GM Delco Voyager EST marine electronic distributor kit. Made forALL 4.3L V6 marine engines made from 1985-2014. This kit is U.S Coast Guard approved This is the EXACT kit that Volvo Penta, OMC, Marine Power, etc use on their 4.3L marine engines. Delco 381711. Installing any of these parts on your vehicle is done at your own risk. Any and all products should be installed by a certified technician. We have done our best to ensure all information in this ad is accurate and up-to-date. It is part number 1100576, 42 amp, 12v neg. THIS IS A NEW DELCO/REMY QUICKSILVER SOLENOID ,PART # 89902. We carry thousands of quality products for all your boating needs. This is a used Distributor from a 93 Cobra 3.0L motor. We were able to crank the motor and run, but it had a cracked block from freezing. So here are parts for you.